WASHINGTON, D.C. — Today, U.S. Senator John Barrasso (R-WY), chairman of the Senate Committee on Environment and Public Works (EPW), received an award for his ongoing work on behalf of American uranium production. The award was presented to Barrasso by the Uranium Producers of America. Barrasso is the first to receive this award. As EPW chairman, Barrasso has made promoting nuclear energy and protecting American uranium production top priorities. Nuclear energy creates American jobs and is the nation’s largest source of carbon free energy. The majority of the nation’s uranium production comes from Wyoming. 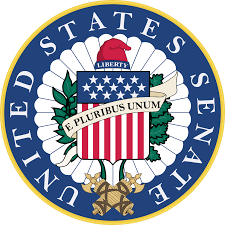 For more information on Barrasso’s work to protect American uranium production and to promote nuclear energy, click here.